From 1921 to 1998 it was, for many, one of the most prestigious and exciting racing circuits in the world. We are talking about the AVUS - Automobil-Verkehrs- und Übungsstraße - the first motorway to be opened to traffic, now part of the German A115 motorway, which for years was periodically closed to allow racing competitions to take place. One of the aims of the contractor was in fact to not block traffic during the demolition of the old bridge. 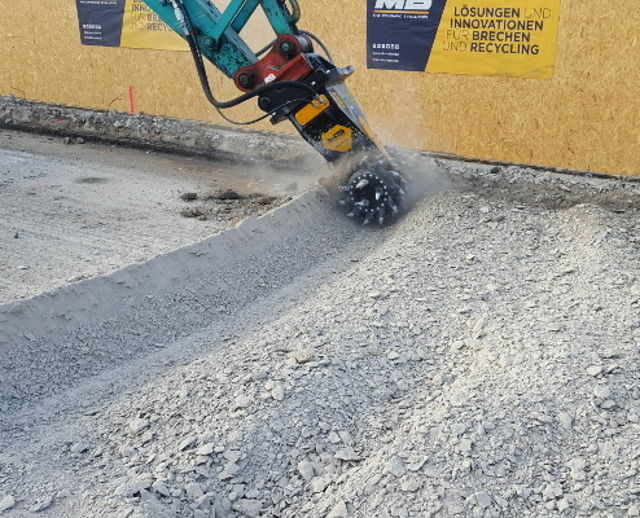 Following an initial phase, in which large drum cutters were used, it was the turn of smaller models from MB - specifically, the models MB-R800 (applicable to excavators of between 10 and 22 tons in weight) and MB-R900 (for excavators of between 19 and 35 tons) - to complete the work. The large drum cutters were used at the beginning for the primary demolition of the layers which made up the bridge. 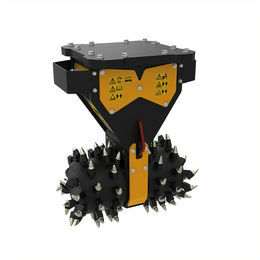 After this, in order to avoid too much stress on the structure, it was decided to use the MB Crusher drum cutters, the only cutters in the world fitted with the special patented system - direct drive twin motor system - which allows the differentiated distribution of power to the two cutting heads. 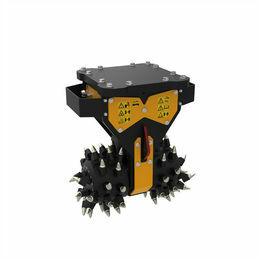 In the case of operations on materials of varying hardness, the MB drum cutters adapt, applying power in proportion to the hardness of the material in question: this results in improved stability and a reduction in stress on the excavator arm.